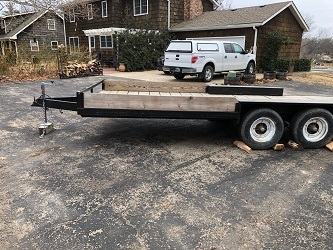 Double axle, boxed frame and HEAVY duty suspension on this trailer. Previous owners were thinking tiny home or car/heavy equipment hauler and I believe it used to be a camper trailer. Tracks straight and true. 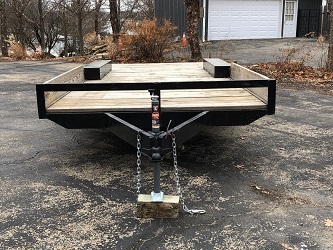 Brand new 5k pound trailer jack and all lights work. 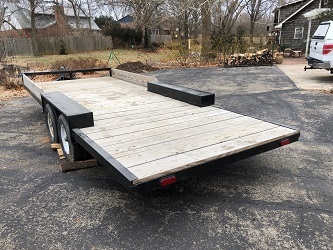 19’ long x 93” wide bed, 23’ overall length, 95” total width, 70” between wheel wells. No title, but will provide bill of sale. Great condition.